I have never been a make-up girl… something about applying foundation and using eyeliner has always caused me some trouble. What I am, though, is a skin-care product girl and let me tell you, I have been a fan of Fresh for quite some time. 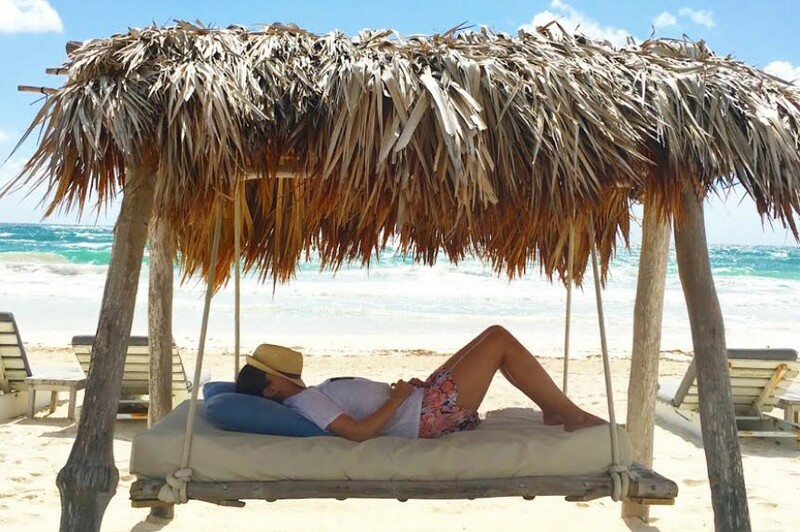 My addiction to all things Fresh began in college while working at Beauty by the Sea, where I was first introduced to Hesperides, which to this day is my go-to summer fragrance. Since then, I have been an loyal customer. They may know me by name at the Newbury Street location, just saying. With these cold winter days upon us, I try to keep my skin well nourished. My routine is quite simple. I begin and end the day by washing my face with their Soy Face Cleanser. I have been using this product religiously for nearly five years. This cleanser works for all skin types and contains nourishing amino acids, rich soy proteins, and soothing botanicals to hydrate, calm, and tone. And for those nights when I attempt eye make-up (very, very limited), this cleanser washes it clean away. Moisturizing is key. My go-to winter moisturizer is their Black Tea Age Delay Cream. Wait, did I really just admit that I use a product with the words “age delay”…. my secret is out. This nourishing and soothing cream has restored a certain glow to my skin. I can’t tell you how many comments I have received lately and I owe it all to this product. I should note that I switch things up just a bit in the summer months and use the Lotus Youth Preserve Cream. A little less rich for those warmer days. Once a week, I indulge in a little extra TLC and use their Black Tea Instant Perfecting Mask. I apply this soothing cream and twenty minutes later, my skin is like new. Try it, I promise you will see instant results. The great thing about this Boston-based company is that they are constantly introducing and improving their product line. 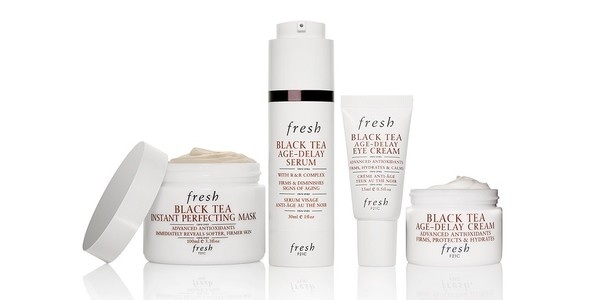 While visiting their Newbury Street location last week, I was introduced to three new products: Black Tea Age Delay Serum; Black Tea Age-Delay Eye Concentrate; and Black Tea Age-Delay Instant Infusion Treatment Toner. As I admitted moments before, I am focusing more and more on “age delay”. These products, as the nice salesman told me, will do just the trick. Diminish fine lines, fight free radicals, hydrate. These are my major concerns as of late. I ended up splurging on the eye cream and toner and I’m very happy I did. Are you a Fresh fan too? If so, do tell. Would love to hear your favorite product. And remember, use your moisturizer!